Add a finishing touch to any outfit in your wardrobe with a set of Roberto Coin hoop earrings. 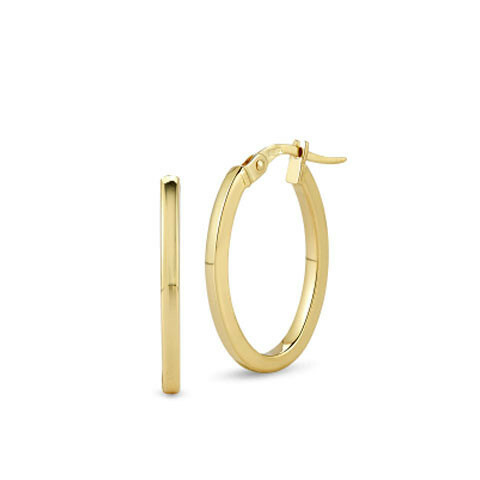 This pair is designed in 18kt yellow gold with an oval shape. The sleek design of these Roberto Coin earrings make them perfect for every occasion.